Wowsa! Are you prepared for some sun-drenched-backlit-beautifully-colored goodness? I could hardly wait to get home to start looking through these after our session last night. I knew they were going to be gorgeous, and I’m just crazy over all of them. 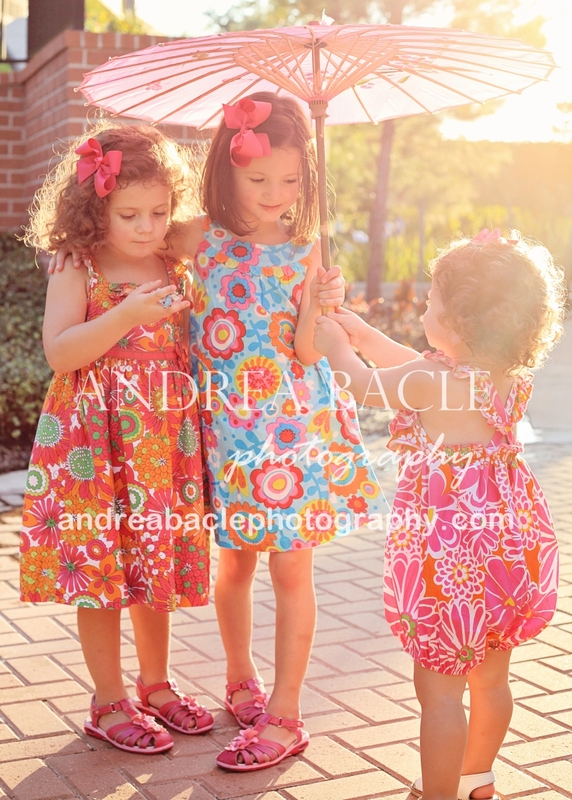 I had so much fun chasing after these three lovelies that I almost forgot that it was about 100 degrees outside. 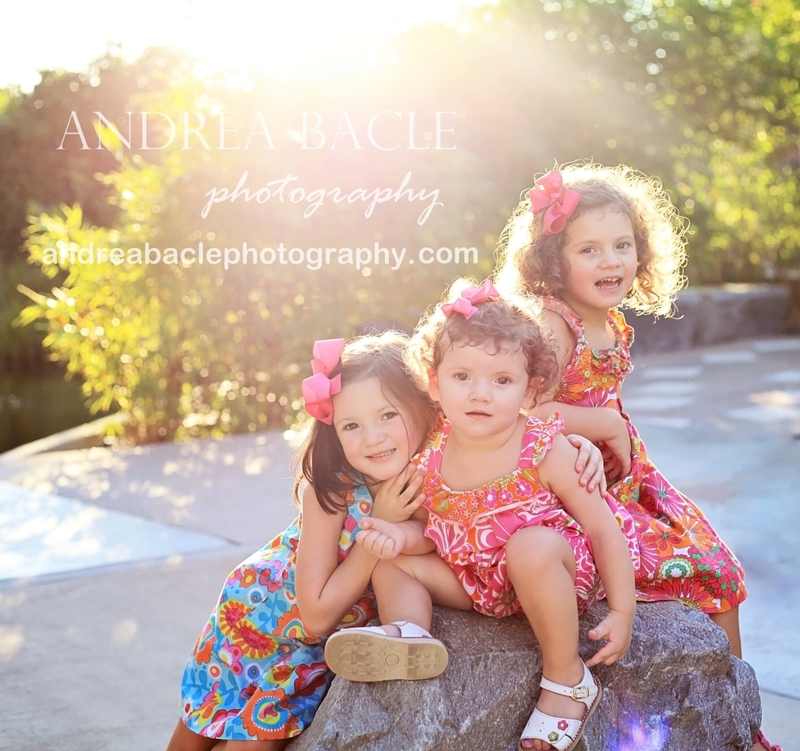 The light was perfect, and my three models were awesome! This first one is my favorite, for sure. 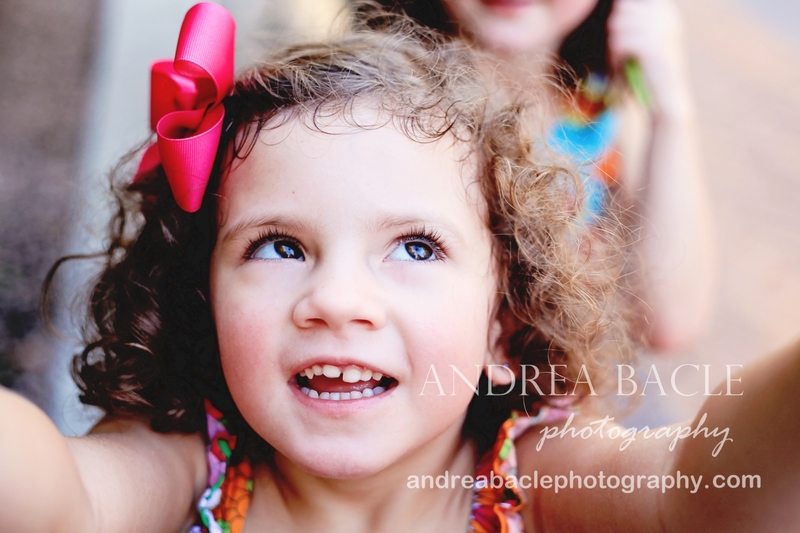 The parents typically go for the images with the kids looking and smiling, but I always love to capture the little moments in between the more posed shots. The girls were getting hot and were understandably ready to be done, so I had to pull out some props to keep their interest. They were so sweet sharing and taking turns. Love it! I really adore this one. Three gorgeous sisters in the most beautiful dresses all looking at the camera at the same time?! Amazing. 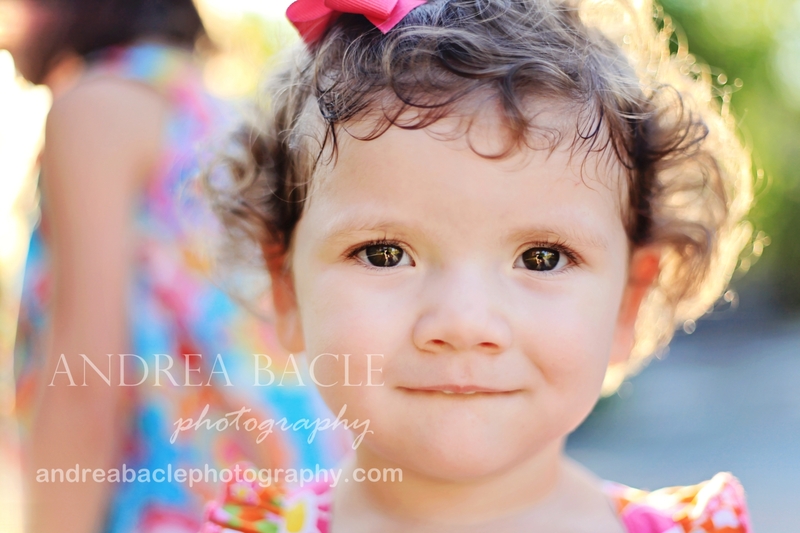 This little cutie pie let me know right away that she did not want me to take her picture. But, by the end, we were buds. I had a fabulous time trying to make her laugh. Finally, we have the super model…um, I mean the oldest. She was striking a pose like nobody’s business. She told me, yes, I was correct in guessing that she’s starting first grade; however, she was very quick to tell me that she will actually be in second grade next year, thank you very much. I think this was her trial run for her senior portraits. Hello, gorgeous! I really can’t wait to show you the rest, and I hope you love these! 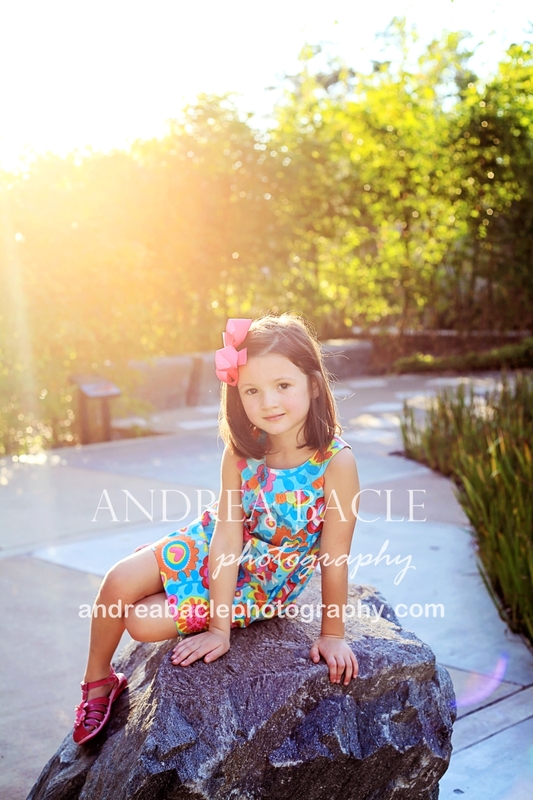 This entry was posted in Uncategorized and tagged lifestyle photography, natural light photographer, summer photos, sun flare, the waterway, the woodlands, three sisters, toddler, toddler photo. Bookmark the permalink.